I'm at Oak Lawn all day Monday and Wednesday, as well as Friday morning. You can access our catalog, blog, and statewide reference resources in the boxes below. Click on the tabs above for library lessons, access to e-books, and more. The Oak Lawn Elementary Library serves a community of approximately 250 students in grades K-5 and 30 teachers / support staff. All Oak Lawn patrons may borrow any materials in the library (with the exception of Diary of a Wimpy Kid being restricted to grade 2 and up). As a member of the RILINK Consortium, we also extend free access to materials to more than 160 other schools. 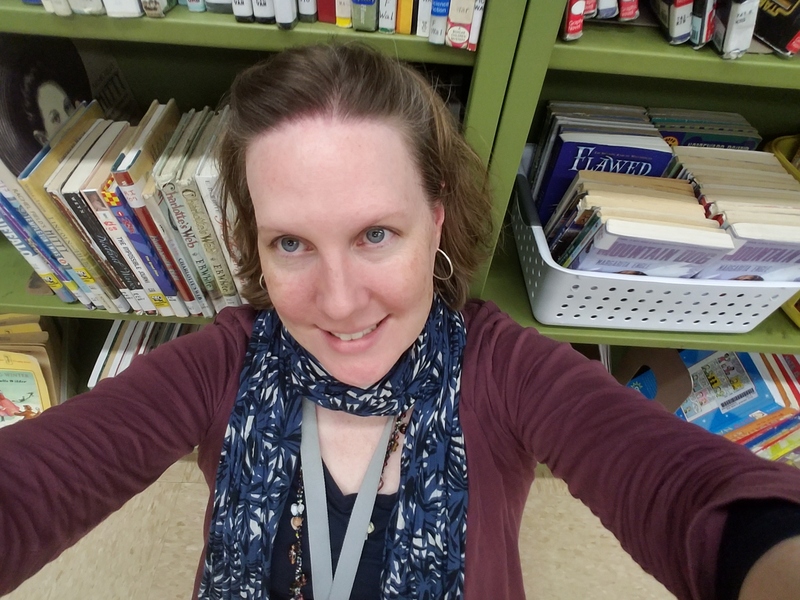 Materials are selected based on review sources, curriculum connections, student requests, annual awards lists, and Ms. Moore's voracious reading habits. As of spring 2017, we had approximately 6,500 print items and 120 DVDs/videos. The library also houses 12 desktop computers and 30 laptops, as well as a projector and a television. Classroom teachers may reserve the computers for use when Ms. Moore is not teaching classes. In addition, they may check out as many books as they need for however long they need them. As the school year goes on and students demonstrate their ability to return books on time and in good condition, they may be able to take out more items at a time. Students in grades 2-5 may keep their items for up to three weeks, but can return them before that if they have finished. If they need more time, they may renew for an additional three weeks. If a teacher or student would like a book that we don't have at Oak Lawn, they may take advantage of our Interlibrary Loan program, through which we can order materials from more than 160 other Rhode Island school libraries. Students have library class weekly for 35 minutes. We do a lesson or readaloud and activity and then have 10-15 minutes for checkout. Lessons are aligned with classroom curriculum whenever possible and support Common Core standards, as well as the American Association of School Librarians (AASL) Standards for the 21st-Century Learner.